Offers professional waterski and wakeboarding instructions, slalom, jump & trick courses on our private Muskoka Lake, sales and rental of top quality waterski and wakeboard equipment. Geocaching is an entertaining high tech treasure hunting adventure game for gps users. Participating in a cache hunt is a good way to take advantage of the wonderful features and capability of your gps unit. Great skiing, snowboarding and winter fun for the whole family at Hidden Valley Highlands Ski Area, Muskoka, Ontario, Canada near Algonquin Park. Learn to Sail - Sailing school, Bareboat and Skippered Cruises and Sailing Club. A supreme outdoor paintball field located in beautiful wasaga beach, Ontario, Canada. Offering many excellent services and facillities, including Canada's largest outdoor tournament: BEACH BLITZ! Military re-enactors who specialize in the War of 1812, and represent the Royal Newfoundland Regiment of Fencible Infantry. Rudolf's Funland and Sportsland are alive with activity. Go Carts, roller coaster, ferris wheel, animals, batting cages, mini golf, laser tag and lots more. Explore and enjoy the spectacular view, mini golf, nature trails, playground and more! A wholesome educational, entertaining farm experience. Discover an exciting and educational outdoor adventure at the Elmvale Jungle Zoo. Walk along shaded and winding trails. Bethune Memorial House National Historic Site of Canada commemorates the life and achievements of Dr. Henry Norman Bethune. The Shrine honours the eight Jesuit saints who lived, worked and died here over 350 years ago. The grounds, including the famous Shrine Church and 75 pleasantly landscaped acres invite you into prayer and tranquility. Details the 17th century historic French settlement of Jesuit priests and the native Wendat Huron nation. Guided tours, group tours, education programs, special events, weddings & corporate functions. Winter or Summer - cross country skiing and snowshoeing, ecotours, hiking, birding, Birds of Prey shows, birds of prey workshops and wildlife viewing. Discovery Harbour is a picturesque historic site situated on beautiful Penetanguishene Bay. Throughout the summer visitors can enjoy fun and interactive daily activities and tours. The oldest winter carnival in North America - Held in mid February. Watch the parade, participate in the Snowriders Poker Ride, jump in for a Polar Plunge - Curling, Arts & Crafts, Toboggan Race. Has a regular pub night on Thursday nights (7 to 11 pm) Available for rent to private functions. Host to special events, some free or paid admission, check our facebook page! 96 trailer sites and seasonal sites. - Town water, hydro and sewer. 12 specialty programs-Figure Skating, Dance, Hockey, Horseback Riding, Leadership. Both day and resident programs are available, including traditional camp programs. Access by boat or water taxi only. Canadian Shield land. Camping, hiking, swimming, nonmotorized boating, fishing. Planning information, the latest news, upcoming programs, donation and membership information, opportunities for involvement, outfitters, lodges, commercial service, plus books, maps and souvenirs. Year-round park for outdoor activities in the heart of Muskoka - 185 electrically-serviced sites. Enjoy a weekend or a week of an exciting camping experience. Over 40 acres of woodlands overlooking Doe Lake, a predominately sandy bottom warm water lake and a private sand beach with 2 floating platforms. Well established family campground and cottage rental resort. Family owned campground/trailer park on Georgian Bay. All amenities: hydro, water and tent lots available, beach on-site, full washrooms, showers, restaurant/snack bar/coffee, social activities, marina within 1km. A seasonal RV Resort amidst stunning hardwood forests. Kids will love our two large playgrounds as well as wagon rides, treasure hunts and a variety of other planned activities throughout the season. Summer camp for boys and girls, operated by the Simcoe Presbytery of the United Church. Adventure Camp (ages 5-10), Boys Camp (ages 11-16), Girls Camp (ages 11-16), Teen Programs. We also run all year round outdoor education programs, group retreats and programs for women and adults. The official Parks Canada website. Find information on Canada's National Historic Sites, National Parks and other heritage related information. Our company is here to provide a fishing adventure for any occasion. Offers boat cruises: Midland, Miss Midland 30,000 Islands cruise - Peneatanguishene, Serendipity Princess Historic Harbour Cruise - Port Severn Boat Cruises, Serendipity Princess Fall Colour Cruise and Casino Travel, Casino Rama Fallsview Casino. Brooklea is a professionally designed 27 hole golf facility. More than just a golf course...it's a challenge of your skills. Eighteen holes of classic golf course architecture allows for an enjoyable challenge for both the casual and advanced golfers. A C.P.G.A. A front 9 of traditional North American, old style treed holes and a back 9 holes of classic links. 18 hole golf course offers a stimulating variation in terrain. A 9 hole, 661 yard course par three golf course.The small bent grass greens and nine strategically placed bunkers make it an enjoyable challenge for the advanced or novice golfer. Live professional theatre. Offering special Fall & Winter performances and children's series. Host to a wide variety of plays, musical performances, meetings, videos, presentations and school groups. Box office events, music, shows, and workshops. Home to Midland's amature community theatre company Hurnonia Players. Each summer, a 12-week season of performances is presented at the Orillia Opera house. Drayton Entertainment - Nestled within Discovery Harbour, the 385- seat theatre is flanked by majestic tall ships and historic buildings This unique, rustic theatre is airconditioned and wheelchair accessible. Lake of Bays. We offer a full range of marina services - boat rentals - storage. Open year round, snowmobile repair. Full Service Marina on beautiful Lake of Bays. New and used boats and motors. Repairs & maintenance. Rentals of boats - snowmobiles in the winter. We also offer indoor storage for your boat. Boat dockage, new and used boats, boat parts and marine supplies. Full-service gas dock and extensive marine repair facilities. Boat docking, new and used boats for sale, parts and accessories. Mercury, Mercruiser, and Volvo dealer on Georgian Bay. 320 slips, full marine accessories, as well as hotel, restaurant and banquet facilities. 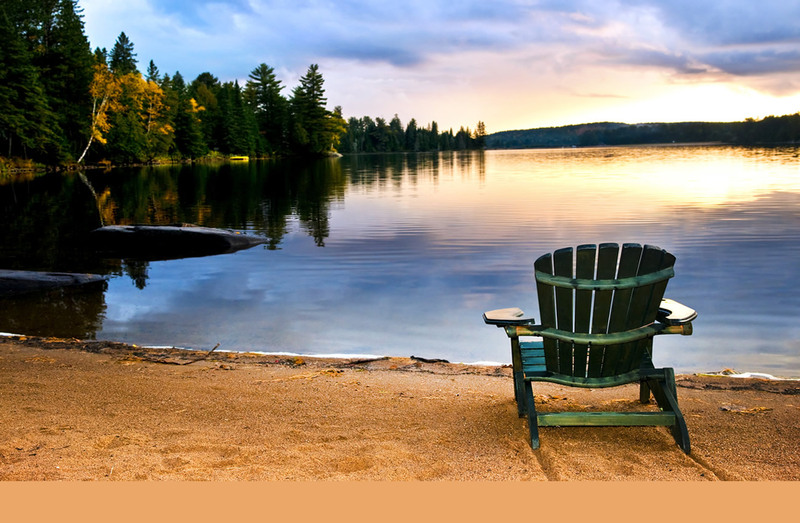 Driftwood Cove is a marine resort located in northern Ontario with cottage and boating facilities. We are located in one of the worlds best boating areas. Our Thirty Thousand islands offer many great anchorages with many places to visit and enjoy . Since the late 1800's trains have played an important role in the communities of Muskoka. Huron history museum, native, indian, and pre european displays, activities and events. Museum and the Enchanted Kingdom of little buildings. Cross over the drawbridge & enjoy a unique shopping experience. You'll discover a wide range of gift ideas & home accents. Displays featuring artifacts from native cultures, through the Victorian era and into the mid 20th century. Also the 16 pioneer & diplay building. Former summer home of famed Canadian humorist Stephen Leacock. Walking tours - exhibits - children's programs - weddings - cafe - educational school. 132 year old Centennial Museum. Active genealogical research center. Grounds available for meetings, workshops, parties, family renunions, weddings. Recreational facility with ice and floor arenas, large swimming pool, a small therapeutic pool, a 300-seat auditorium and full-size kitchen and bar. Wedding, Christmas parties and celebrations. This multi-purpose facility has been used for trade shows, receptions, sporting events, seminars, meetings, dances, concerts, skating.